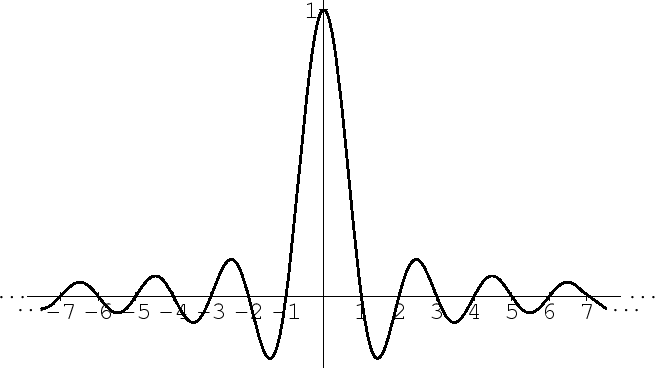 Figure: The sinc function sinc . where denotes the sampling rate in samples-per-second (Hz), and denotes time in seconds. Note that the sinc function has zeros at all the integers except 0, where it is 1. For precise scaling, the desired interpolation kernel is sinc , which has a algebraic area (time integral) that is independent of the sampling rate .